The Smokme Subverter Mini is a new sub ohm clearomizer tank made by, you guessed it, Smokme Technology who is based in China. Now, I initially rolled my eyes a little when the sales manager at Smokme contacted me about doing this review. 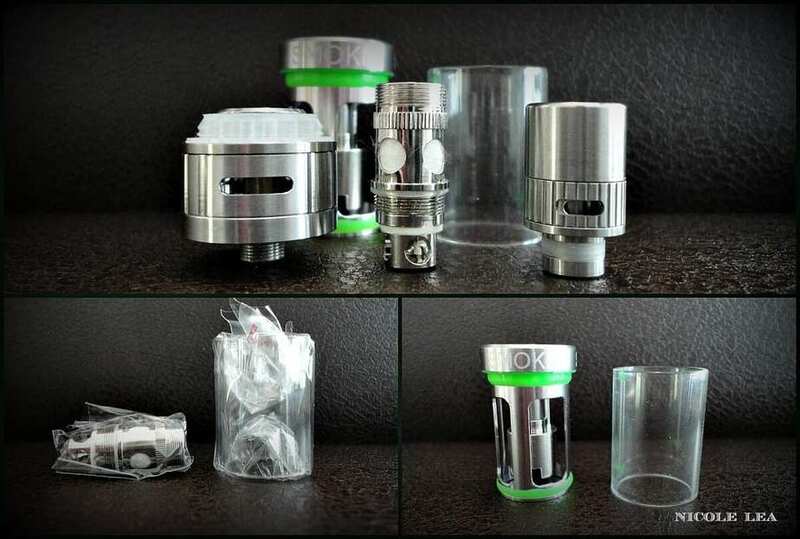 However, once I looked at all the specs for this new sub ohm tank, which included direct comparisons between the Atlantis 2 and the Kanger Subtank Mini, I decided that the Subverter Mini was worth taking a closer look at. 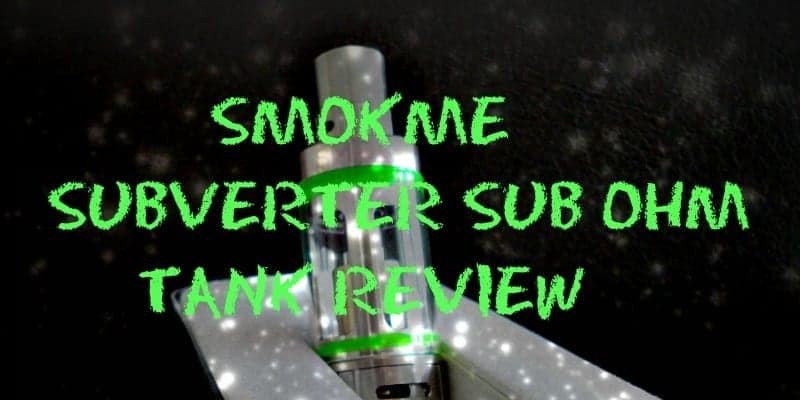 The Subverter Mini sub ohm tank featured in this review was provided by SMOKME Technology for the purpose of conducting this product review. 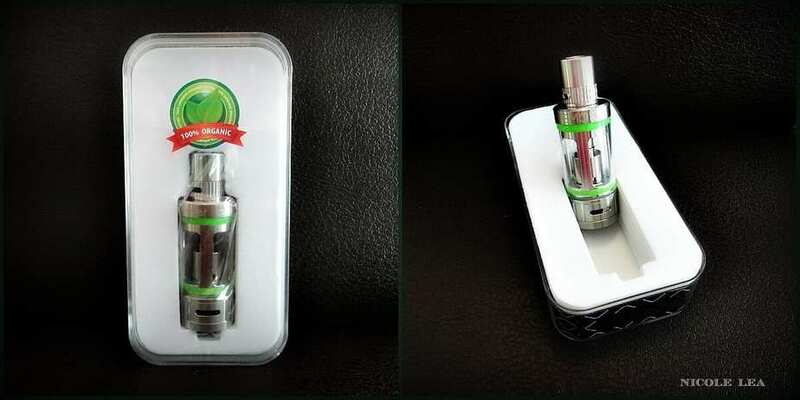 The SMOKME Subverter Mini retails for $29.90usd, and it packaged in a branded clear clamshell case which includes the Subverter clearomizer, an extra coil head, and a spare glass tank. 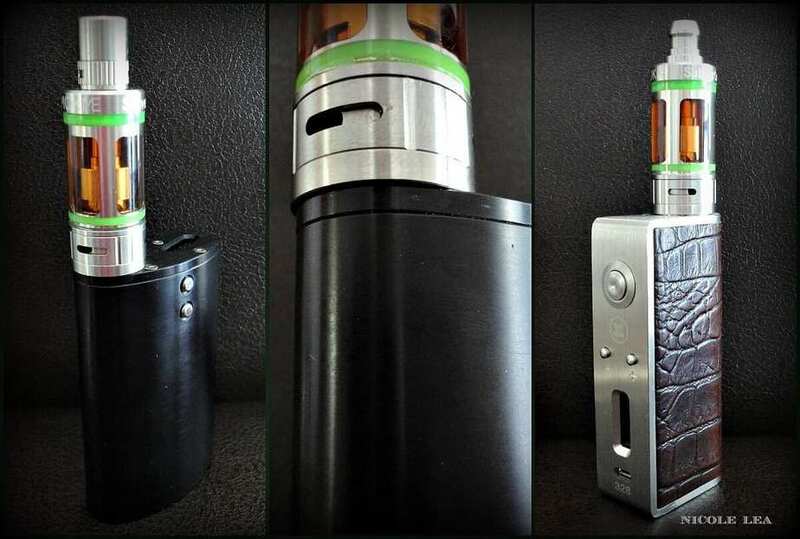 From what I have gathered from speaking directly with SMOKME, their intention was to improve upon the designs of the Subtank Mini and Atlantis 2 with the creation of their Subverter Mini tank. The Subverter Mini is fully constructed from 304 grade stainless steel, and pyrex glass tank. I thought it was an interesting choice to use neon green silicon gaskets to secure the glass tank, and which I am not a big fan of. I think that SMOKME should have gone with white, or clear silicon gaskets, or at least offered them as spares with this tank. Unlike the Aspire Atlantis 2, the high flow style drip tip with AFC is a standard 510, and it is removable. That right there is already a welcomed improvement over the non-removable drip tip found on the Atlantis 2. The SMOKME brand name, and Subverter Mini are lightly etched around the top of the atomizer, and it is a little overkill in terms of branding. 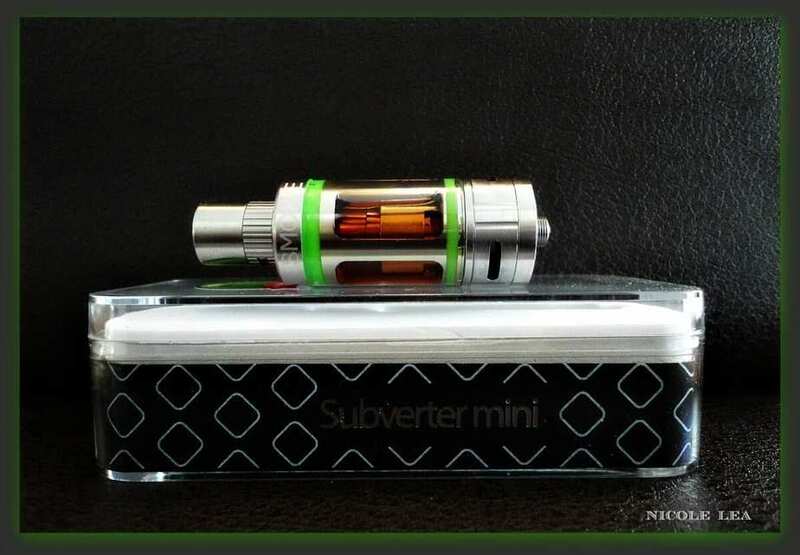 Also unlike both the Subtank Mini and Atlantis 2, the Subverter Mini is 23mm in diameter. 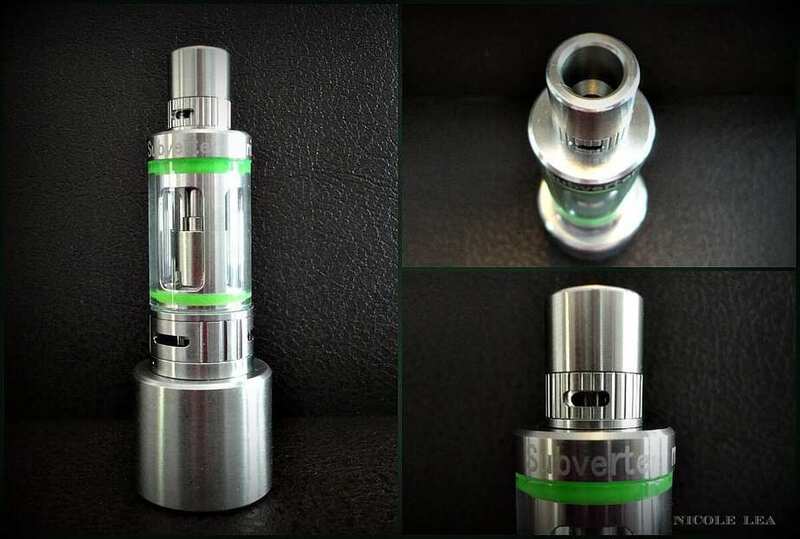 The Subverter Mini sub ohm tank breaks down into 5 basic parts which includes the base with AFC, a pre-built coil head, the stainless steel tank section, removable/replaceable pyrex glass tank section, and a standard 510 high flow drip tip with AFC. This kit also includes an extra .20 ohm BODC coil, and a spare pyrex glass tank. Out of the box I did find that the base of the atomizer was a little difficult to unscrew from the tank section. This was due to the pre-installed coil head being over tightened into the female threaded chimney post. Once I was able to separate the base and tank, and re-install the coil head directly into the base of the atomizer, I did not have any further issues. I would rate the overall build quality of the Subverter Mini as solid, in fact, I find it to have a more solid and substantial feel than the Kanger Subtank Mini. 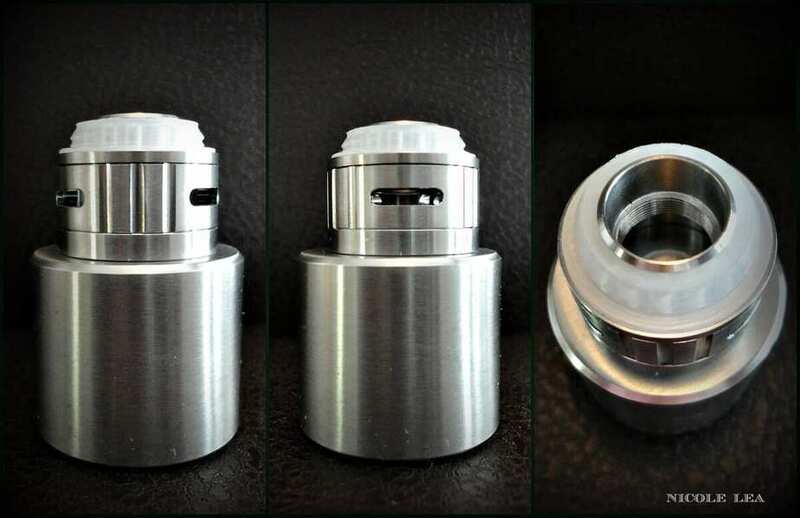 The base of the atomizer has 3 2mmx10mm air holes positioned around the base, and that are fully adjustable. I appreciate that SMOKME listed the actual size of the air holes/AFC as I have criticized some other sub ohm tanks for not including this information. According to SMOKME, the Subverter Mini’s air flow capacity is 20% larger than that of most competing brands. The Subverter Mini uses their BODC (bottom organic dual coil) coil heads, and with this kit you will receive one .50 ohm coil head, and one .20 ohm coil head. SMOKME also makes a .10 ohm Ni200 coil head which can only be purchased separately at this time. However, SMOKME did provide with me two of the .10 ohm Ni200 coil heads for the purpose of conducting this product review. The cotton we take is 100% Japanese Organic Cotton. Most of the other sub ohm tanks take facial puff cotton pads, not real Japanese organic cotton such as the Artic tank, Sense Herkales, Delta II, Atlantis 2, etc. 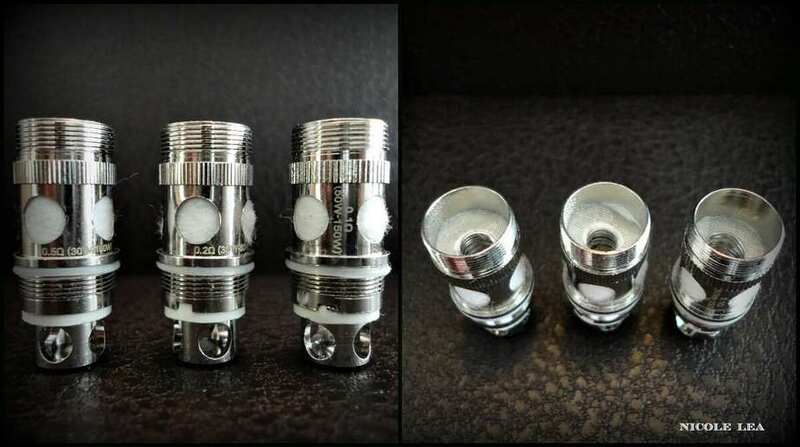 One of the other major selling points of the Subverter Mini is that it is compatible with Atlantis 2 BVC coil heads. Below you will see a photo comparison between the Subverter BODC coil head, and the Atlantis 2 BVC head. While the coils head are similar, and interchangeable, they are not exactly identical to each other. The BODC coil is a bit shorter, and it also has larger e-liquid intake holes than the BVC coil head. In the bottom left photo you will see the BODC coil head installed into the Atlantis 2 base, and the BVC coil head installed into the Subverter Mini base. 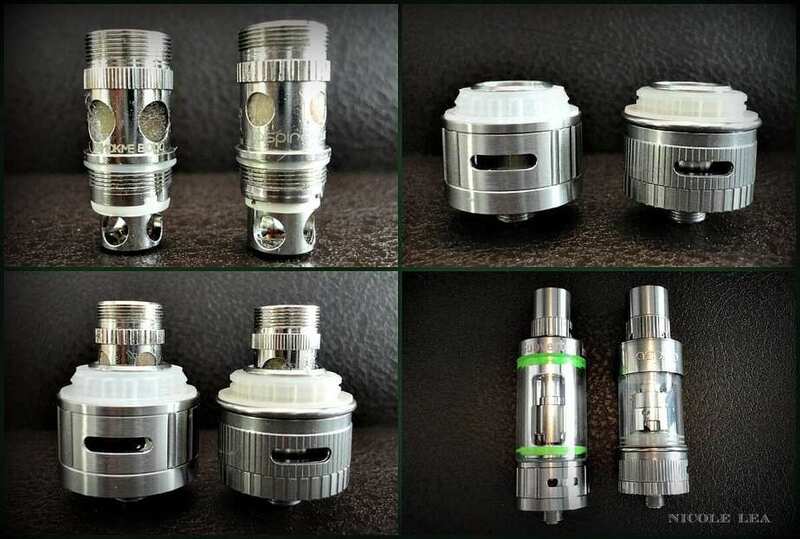 In the bottom right photo you will see each atomizer completely assembled with the coil head of the competing atomizer. Both atomizers fit comfortably with each others coil head. The Subverter Mini does have a true 4.5ml capacity, as I have measured by syringe. 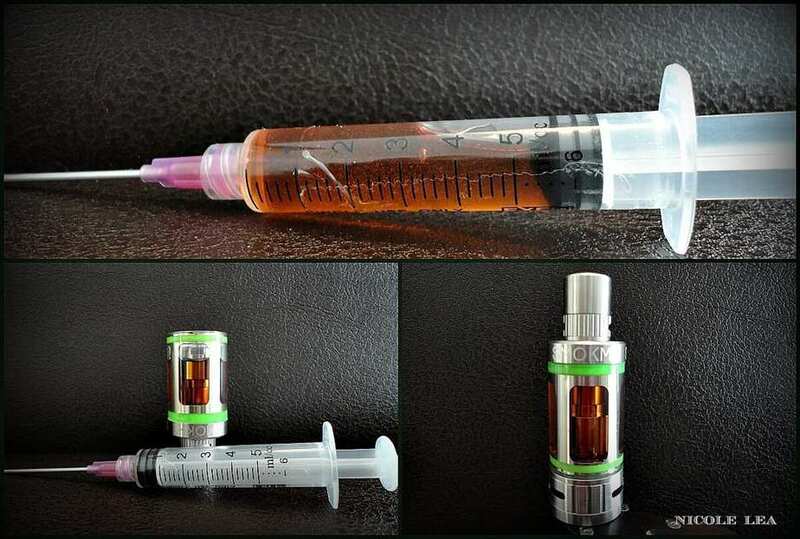 In fact, the Subverter Mini can actually hold 5ml of e-liquid however, based on my trials with this atomizer I found that the extra .5ml will flood the coil head and leak slightly from the base, so I don’t recommend filling to 5ml. There isn’t any visible wasted space within the tank once filled. Even though I had resolved the issue with the coil head remaining inside the chimney post once I separated the base from the tank, I do find that it is easier to unthread the base of the atomizer from the tank while the atomizer is still attached a device. I do think that the thread tolerances between the tank and the base are a little too tight. Now as far as flavor production is concerned, I found the Subverter Mini to be very good, and I would rate it right up there with any of the better sub ohm tanks that I have used. I found the same to be true when using the .10 ohm Ni200 coil, at least as compared my own Ni200 coil builds. I have used the coils head for at least 7 days straight of all day use, and at the 7 day mark I didn’t notice any drop off in flavor or performance. I definitely, definitely like the Subverter Mini more than the Kanger Subtank Mini, and the Atlantis 2 sub ohm tanks. While the Subverter Mini vapes warm, and which is to be expected, it did not produce a hot vape as I had found with the Subtank Mini. The BODC coil heads also produce much better flavor than the Atlantis BVC coils, at least in my opinion. I have used the Subverter Mini with the Vaporflask, Hcigar HB40, the UBOX 50, and the Variant 260W clone, and this atomizer did perform well with all of these devices. However, due to the 23mm diameter of the Subverter Mini, there is some hangover when used with devices that only have a 22mm atomizer seat. I focused my comparisons of the Subverter Mini around the Kanger Subtank and Aspire Atlantis 2 because these are the two atomizers that SMOKME chose to focus their design around, with the intent of improving upon them. In my opinion they were successful because I honestly liked the Subverter Mini better than those two sub ohm tanks in particular. In fact, the Subtank Mini and the Atlantis 2 are the only two sub ohm style tanks that I have tried and really didn’t care for. With that being said, I do feel that there could be some improvements made to the Subverter Mini, namely improving the thread tolerances between the base and the tank so that separating them is easier, and also to include a more neutral color silicon gasket with this kit. I also think it would be great if SMOKME would offer the Subverter Mini with Ni200 coils standard, especially since TP devices are reaching a fever pitch in popularity. Due to the overall solid build quality, and the tanks performance, I would recommend the Subverter Mini sub ohm tank as an option for anyone who is in the market for a sub ohm clearomizer. Hi Daniel .. You know, initially I felt the same way that you did. I seriously rolled my eyes when I was first asked to review it. But .. when I received it and started using it I honestly felt that it was better than both of those tanks, which I also previously reviewed and I didn’t like. As I type this reply I am using the Subverter, so because I felt they made good on their intent, I gave them the pass .. but your observations are otherwise on point. where can we purchase the ni200 coils? At the moment I am only aware of Focalecig.com and 3Fvape.com selling the Ni200 coils .. Thanks for the reviews very informative,most reviews seem only to be concerned with vapor production so I do appreciate a different view.that focused on the tank itself. Hi Nicole, another outstanding and accurate review. As an owner of a Subverter Mini I can say everything you said was on point. I truly enjoy vaping the nickel coils on this tank. The flavour and vapor production rivals the two best tanks that are the Freemax Starre Pro and the #1 Uwell Crown. In other words I ranks number 3 in my rotation. Not bad whaen you consider the plethora of sub ohm tanks available today. They did a masterful job of marrying the atlantis and subtank and created a winner. So much better than they are. It’s worth pointing out the ni200 coils work very well in the Aspire Triton tank. I purchased from 3fvape and was blown away by the flavour and clouds from a nickel coil.